Get full-service posting compliance protection for healthcare facilities that’s easy and affordable. 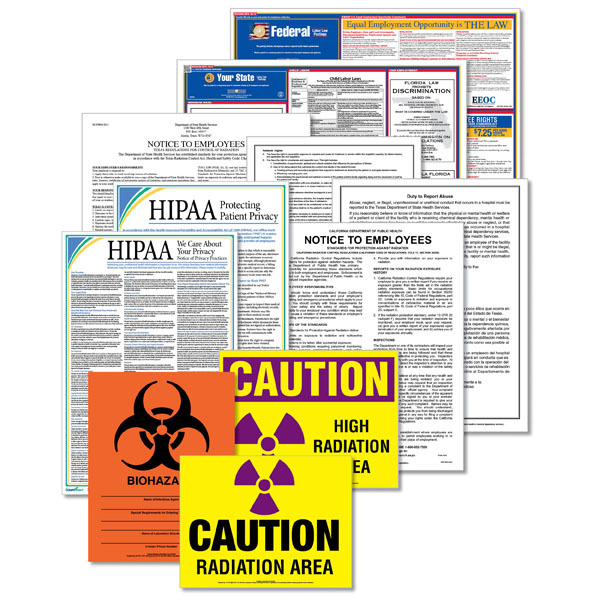 The Healthcare Labor Law Poster Service from Poster Guard® is the all-inclusive compliance solution designed especially for healthcare facilities. It includes both the standard federal, state and local* poster set and special healthcare labor law posters you need for immediate compliance. And, you get one year of legal monitoring and automatic poster replacements when laws change. Plus, it’s all backed by a 100% Compliance Guarantee. *Local postings cover all mandatory, employee-facing requirements for general industry. Additional postings may be required to satisfy local contractor and/or industry-specific requirements. 100% Compliance Guarantee — you get fined, we pay! Poster Guard at your service — dedicated customer service team standing by to assist you. PosterGuard.com — members-only online tool to help you manage your account. Healthcare postings vary by state, all include the HIPAA poster bundle. If your delivery zipcode corresponds with a mandatory local posting requirement, that poster will automatically be included with you order. Federal Poster size: 24" x 26.75"